Grip the wheel of the most technically-advanced racing game on the planet. Project CARS raises the bar for Racing Simulation, bridging the gap between gaming and reality. Project CARS lets players compete in a multitude of motorsports and modes, using various vehicles from go-karts to grand prix cars. Sit comfortably in the familiar seat of an everyday road car, or explore the thrill of a road-legal track day car; turn up the heat in a hypercar, or lose yourself in a Le Mans prototype; rev the engine of a GT racer, or grip the gadget-clad wheel of a modern open wheel car - with this impressive roster, Project CARS has something for everyone. Pick from four main areas in which to play, including Career, Solo, Online, and Community. Create a driver, choose a starting motorsport, chase Champion status and carve your name into the cup in Career Mode, or take to the tarmac online in fully-loaded race weekends, leader board based time trials, and continually updated community events. Experience a variety of weather patterns from freak thunderstorms to scorching summer sunshine, and create memorable moments that truly represent the next-gen capabilities of Project CARS. Furthermore, on PC Project CARS is 4k, Project Morpheus, and Oculus Rift ready, and will connect to your nVidia Shield or steering wheel setup to offer the most beautifully immersive racing experience to date. Strap yourself into the driving seat of some of the world's finest cars (and karts) and race from sunrise to sundown on over 100 tracks across over 30 locations, including closed circuits and point-to-point courses. Locations: Nurburgring, Zhuhai International, Chesterfield, Cadwell Park, Greenwood, Sakitto, Summerton, Circuit de Spa, Sonoma Raceway, BRNO, Willow Springs, 24h Le Mans, Mazda Raceway, Donington, Snetterton, Azure Coast E80, Azure Circuit, California Highway, Glencairn, Mount Panorama, Oulton Park, Road America, Watkins Glen, Brands Hatch, Dubai Autodrome, Hockenheim Ring, Imola, Monza, Oschersleben, Silverstone, Circuit Zolder. Project CARS Game of the Year Edition adds even more to what is already the definitive racing sim, with new distinctive and exclusive items. 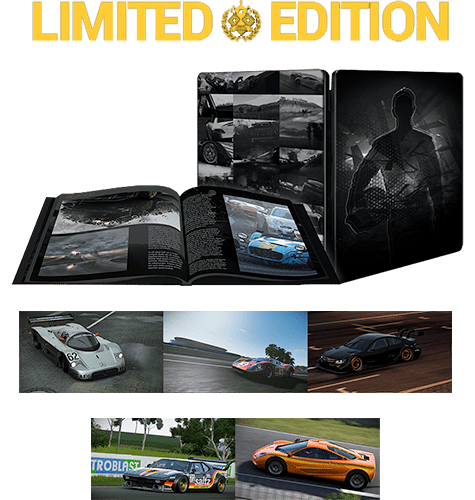 Put yourself in pole position with the Project CARS Limited Edition, which includes an impressive line-up of extra content beautifully presented in a steel case. 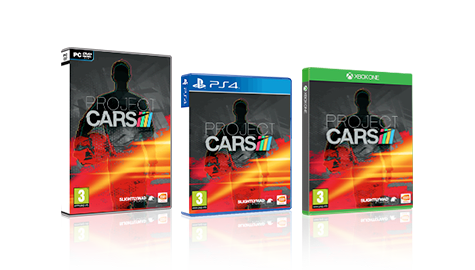 Then, get behind the scenes and take a peek at the Project CARS development process with the exclusive Project CARS: By Racers 4 Racers book. 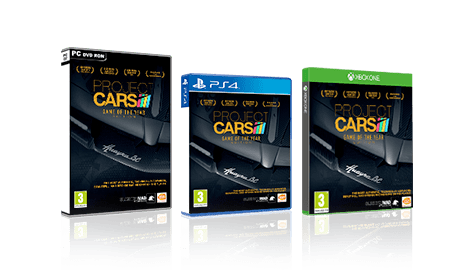 Get racing with the Project CARS Standard Edition, featuring a lineup of tarmac-breaking features, multiple game modes, dazzling environments, and some of the world's finest fast cars. Furthermore, Project CARS is compatible with Project Morpheus and Oculus Rift, for the ultimate immersive experience. 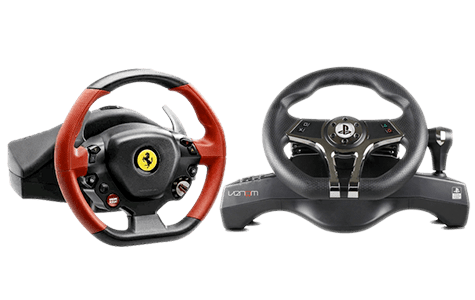 Steer your way to success in Project CARS with our sizeable selection of Steering Wheels and accessories - the perfect supplement for any serious simulation fan! Project CARS pushes the boundaries of the racing genre, bridging the gap between gaming and reality. Add a steering wheel from leading manufacturers like Thrustmaster and MadCatz to your set-up and stay on course for a spot in the Hall of Fame.